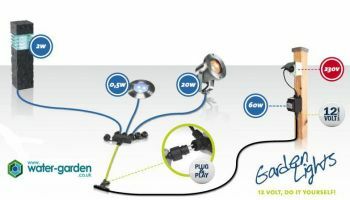 The safe, low voltage (12v) weatherproof Timer can be used to control the lighting duration (from 1 to 9 hours) and is also fitted with a dawn/dusk sensor, automatically switching the lights on when darkness falls and off during daylight. Auto Timer Function switches lights on at dusk for a preset time between 1-9 hours. Automatic Timer will repeat the pre-set countdown every evening. 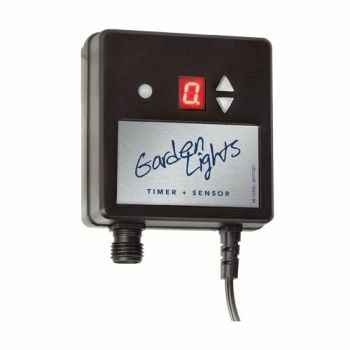 More than one timer can be used if desired, to individually control lighting circuits. 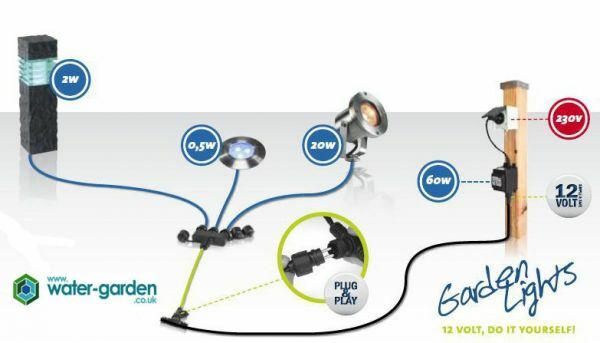 The digital Timer is fitted with screw connectors, ready for simple connection to the LED Garden Lighting Systems range of low voltage LED Garden Lights, Extension Cables, Remote Controller, Cable Splitters and Transformer components.